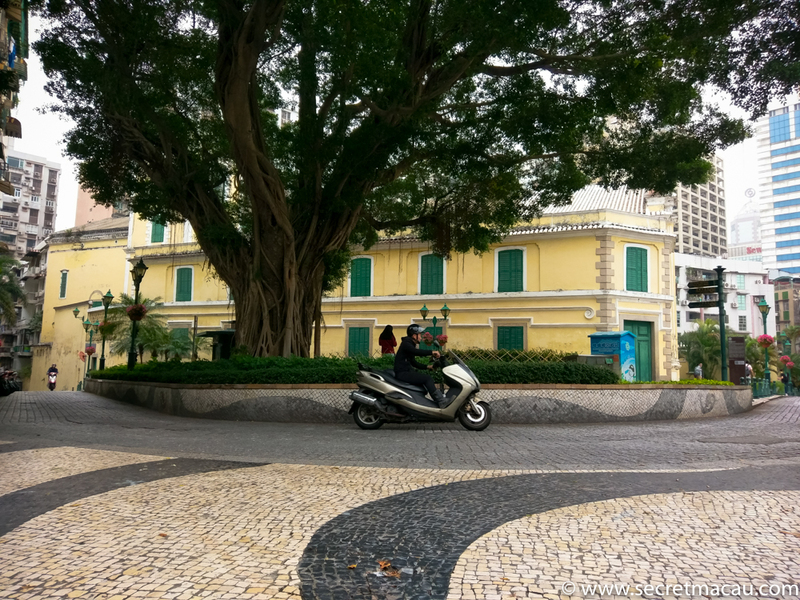 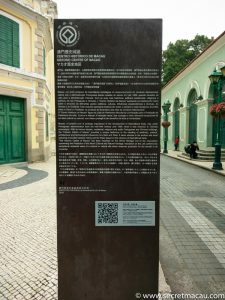 St Augustine’s Square (Largo de Santo Agostinho) is a traditionally paved small square which lies close to Senado Square, and is surrounded by a number of buildings which form part of the Historic Centre of Macau: St Augustine Church, St Josephs Seminary and Church, Dom Pedro V Theatre and Sir Robert Ho Tung Library. 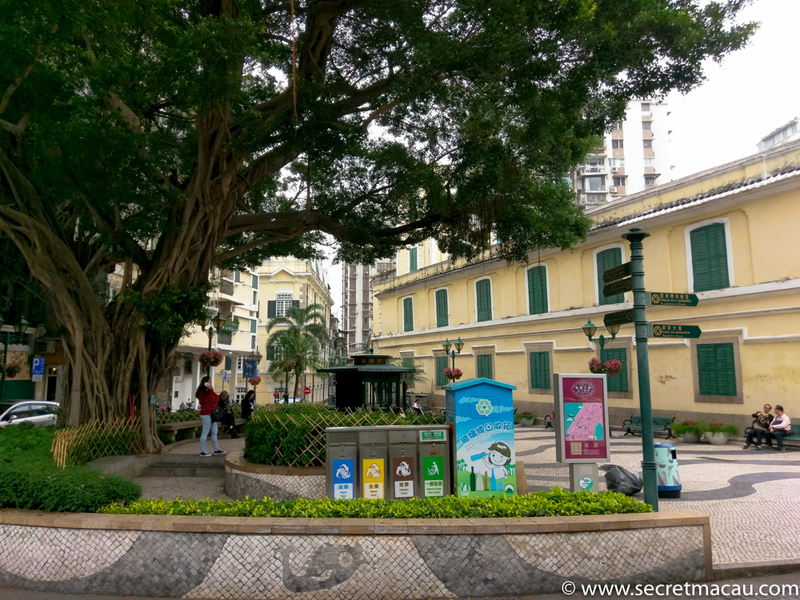 It’s definitely worth the short walk – although it can be busy with tourists, it has a more relaxed vibe than nearby Senado Square, with a large tree in the centre of the square and benches where you can take a breather. 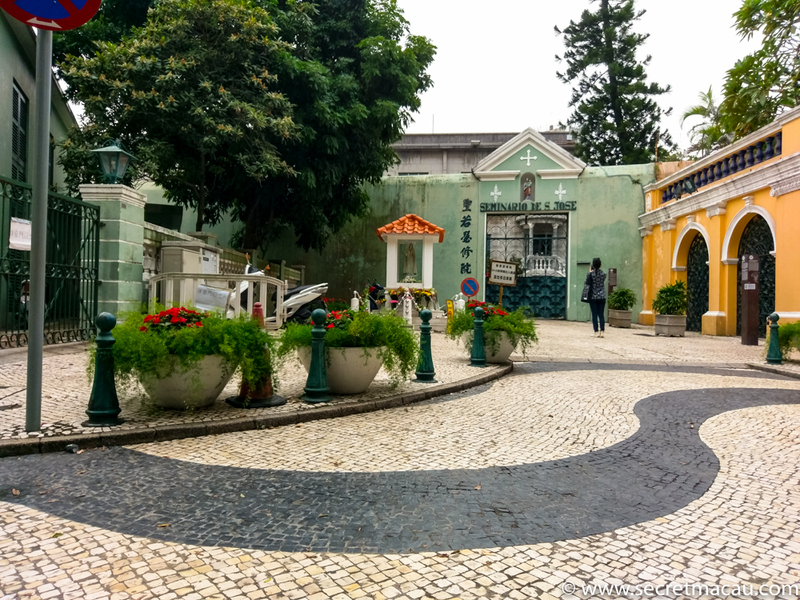 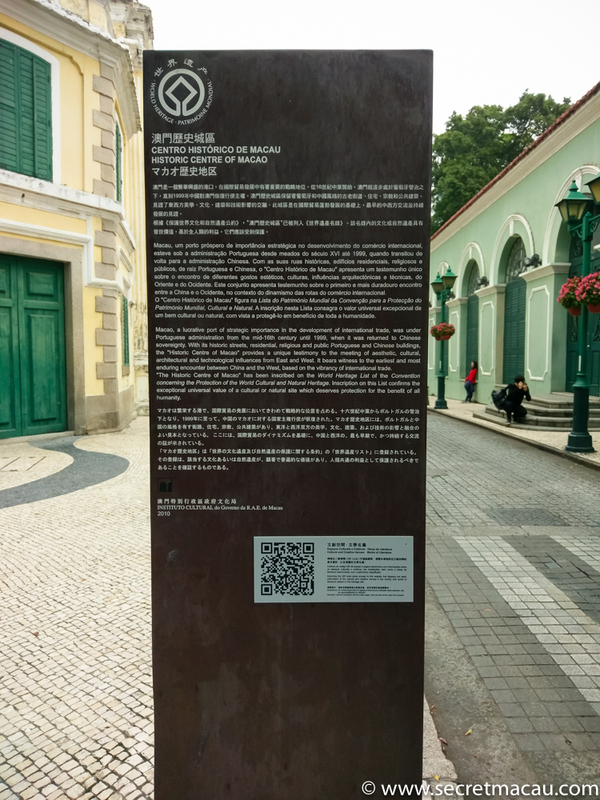 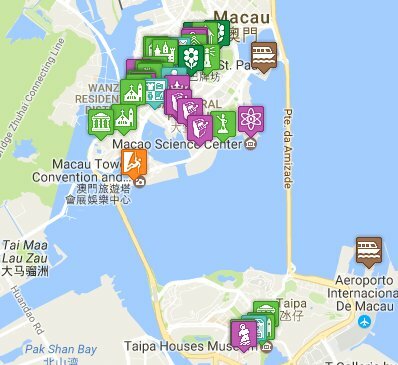 If you are exploring Macau on foot – this is a great stopping off point for walking deeper into St Lawrence Parish (St Lawrence Church, A-Ma Temple, etc). From Senado Square – if you cross the main road (Avenida de Almeida Ribeiro) and take the small street that runs just to the right of the Leal Senado building – the Rua do Dr Soares – and then bear left when the road forks up the Calcada do Tronto Velho – this will take you right to St. Augustine Square (the walk is short, but the road is quite steep here).